Avoid adding another bag you will only use once to your wardrobe and invest in the Alice Signature Woven Tote. The versatile tote bag is now on sale for 26% off the original price. The two-sided design allows you to change your style depending on your outfit and mood. Magnetic closures and zippered compartments ensure your valuables will stay safe and secure. The price has been reduced by $40 for a sales price of $109. If you are against using animal products, the Alice Signature Woven Tote is constructed with man-made leather. The 11×13 size is large enough for a laptop or tablet, making the tote a perfect work bag. 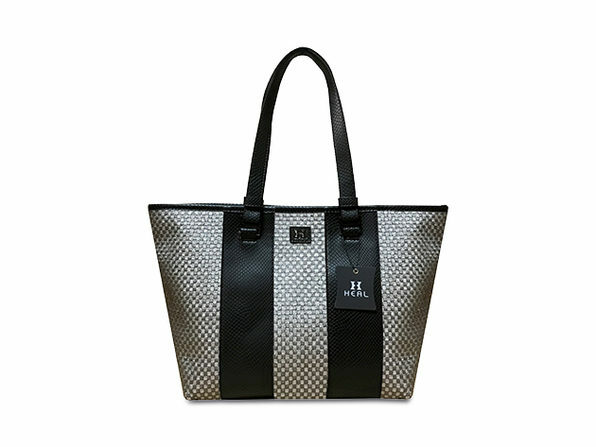 Stay stylish and practical by buying the Alice Signature Woven Tote in the Daily Caller shop for a sales price of $109.